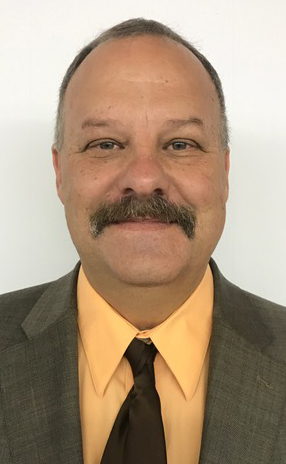 A Wabash County businessman has entered the 2018 race for Wabash County sheriff. Glenn Butcher, owner of Bass & Bucks, announced Wednesday, Sept. 13, that he is seeking the Republican nomination for sheriff in the 2018 Primary Election. He said he believes his more than 30 years of business experience will be a benefit in the post. A Wabash woman is facing a felony charge following a recent Indiana State Police investigation. 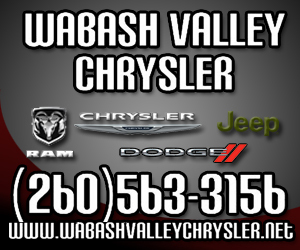 According to a news release from the ISP, the woman, Emma Moore, 22, Wabash, was arrested on a warrant alleging a charge of felony neglect of a dependent. 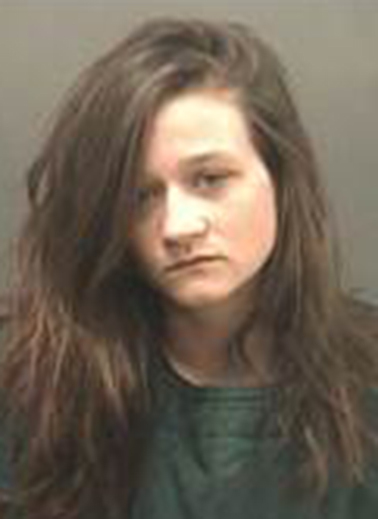 The warrant was served by officers from the Wabash County Sheriff’s Department, to Moore, at the Wabash County Jail where she is currently incarcerated from a previous arrest. A new display has opened in the Wabash County Historical Museum’s Parkview Wabash Education Center. The Big Blue Blocks exhibit opened on Tuesday, Sept. 12. The exhibit features larger, foam blocks, similar to children’s Tinker Toys. It allows the youngsters to build different structures of all sizes by linking the blocks together via their holes over different shapes and sizes. 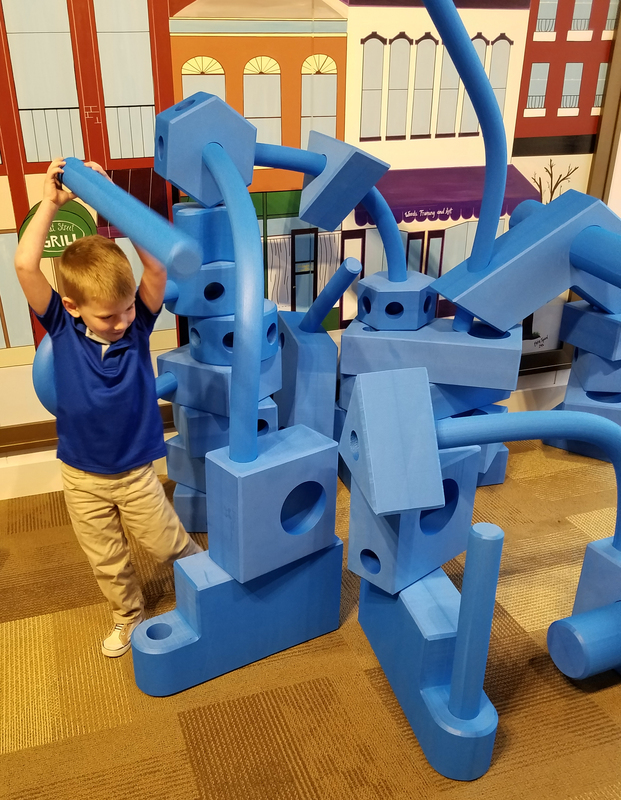 The blocks combine all the benefits of block play on a larger-than-life-size scale that encourage kids to play together in groups and have more fun. Children can enjoy a variety of play patterns including construction, pretend play, role-playing and inventing their own games. The blocks are meant to inspire children to design their own inventions, environments and activities, according to officials. ROANN – A “diamond in the rough” that has been kept in a Roann garage for 25 years is now on permanent display at the Town Hall. 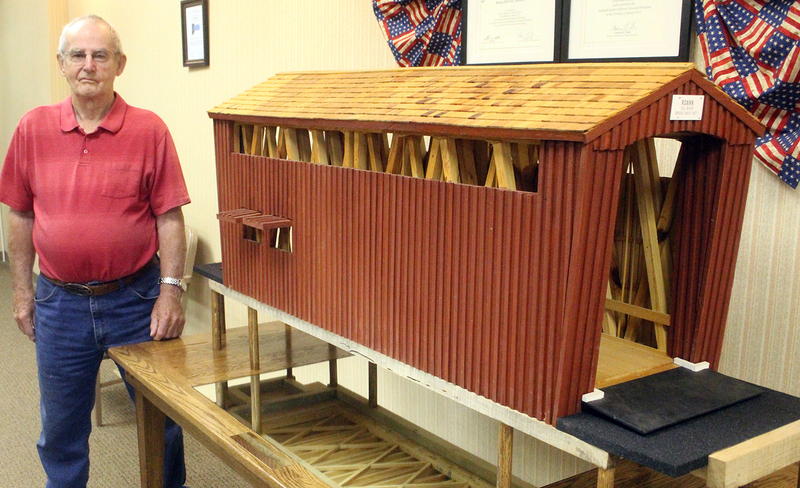 In 1992, Roann resident Jim Huffman spent the first six months of his retirement creating a replica of the Roann Covered Bridge. Made out of old pine, the model bridge, which stands about 2 1/2-feet tall and about 5-feet long, was donated to the town about two months ago. It originally sat atop a counter until a table was built by J&K Woodworking in North Manchester. The Wabash County United Fund kicked off its 2017 fall fundraising campaign at the Wabash Rotary Club Golf Outing on Wednesday, Sept. 13. Despite looming clouds and scattered showers, nearly 60 individuals packed their clubs and headed to the Honeywell Golf Course to support the 26th annual benefit event. Attendance at the Honeywell Pool was down this summer from 2016. Last summer, 18,037 people visited the pool, compared to 14,790 this year, according to figures released to the Wabash Park Board by Park Superintendent Adam Hall. Two special events were honored when the Wabash City Council met on Monday, Sept. 11. Mayor Scott Long declared the month of October as Domestic Violence Awareness Month. 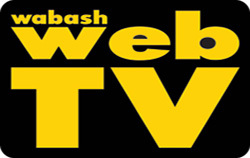 No one from the public spoke Monday night, Sept. 11, during a Wabash City Council public hearing on the 2018 Wabash City Schools budget. The council hearing is required under state statute because it appoints the members of the school board. The budget is a total of $13.8 million, with the largest part of it -- $10.2 million – in the General Fund.